​Liverpool manager Jurgen Klopp praised his side for their quality performance as they beat Bournemouth 3-0 on Saturday afternoon. The Reds cruised to victory thanks to goals from Sadio Mane, Georginio Wijnaldum and Mohamed Salah. The win sees them return to the top of the Premier League, as they sit three points clear of Manchester City until at least Sunday. 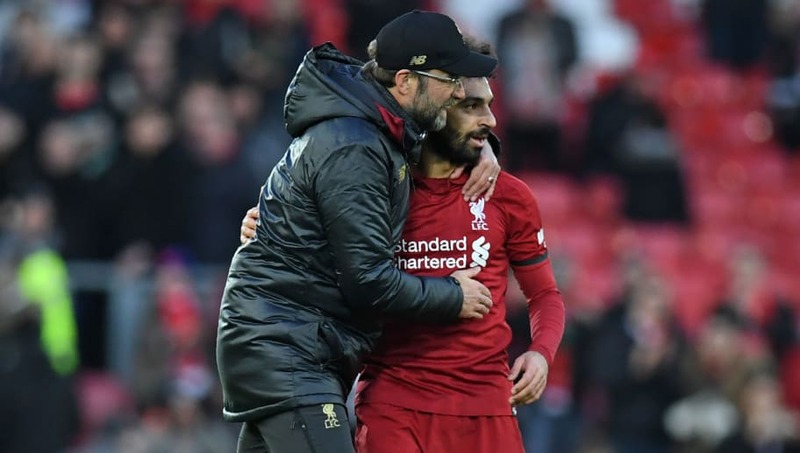 Klopp was delighted when speaking in his post-match press conference, and as quoted by the club’s official website he said: “It was a difficult game, we all saw the situations when Bournemouth could play. In all the other moments we played a really, really good game. It was a vital win for ​Liverpool, following back to back league draws against ​Leicester City and ​West Ham. However the Reds showed great character and determination against ​Bournemouth, as they secured a vital three points. One of Liverpool’s standout players was ​Mohamed Salah, who scored his 20th goal of the season against the Cherries. The Egyptian also broke a new record, becoming the first Reds player to score 20 goals in successive seasons since ​Luis Suarez in 2014. Salah’s goal on Saturday was his 17th ​Premier League goal of the season, which also makes him the league’s top goalscorer this season. As well as that he is also Liverpool’s top scorer this campaign.